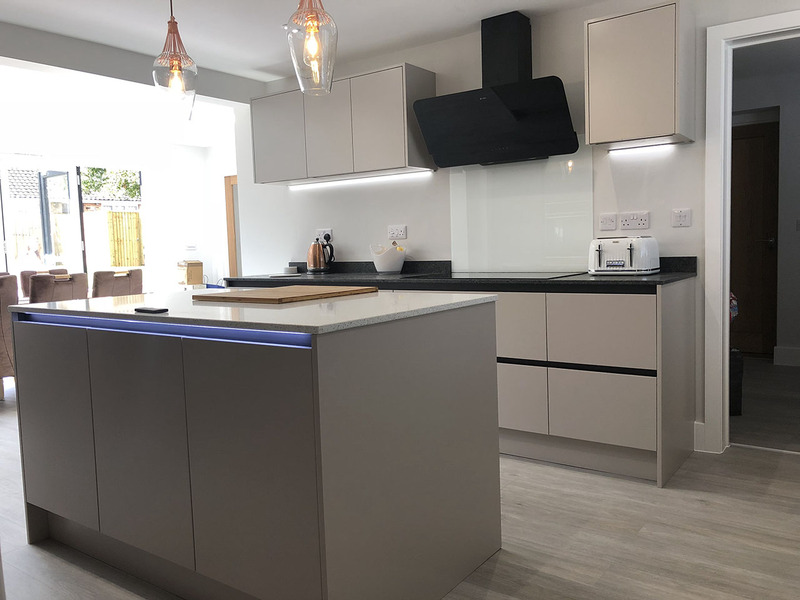 For this contemporary kitchen in Colehill, Meridien Interiors combined two very different door finishes to create a truly unique and super sleek design. 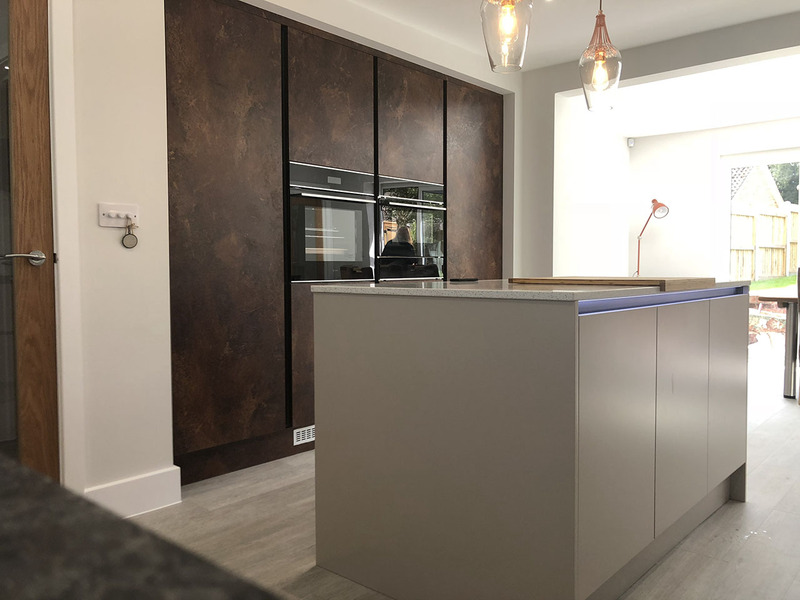 A stunning rust coloured, textured handleless door from First Impressions was teamed with a Matt Cashmere handleless door from Second Nature’s Porter range for a warm, and uniquely different look. 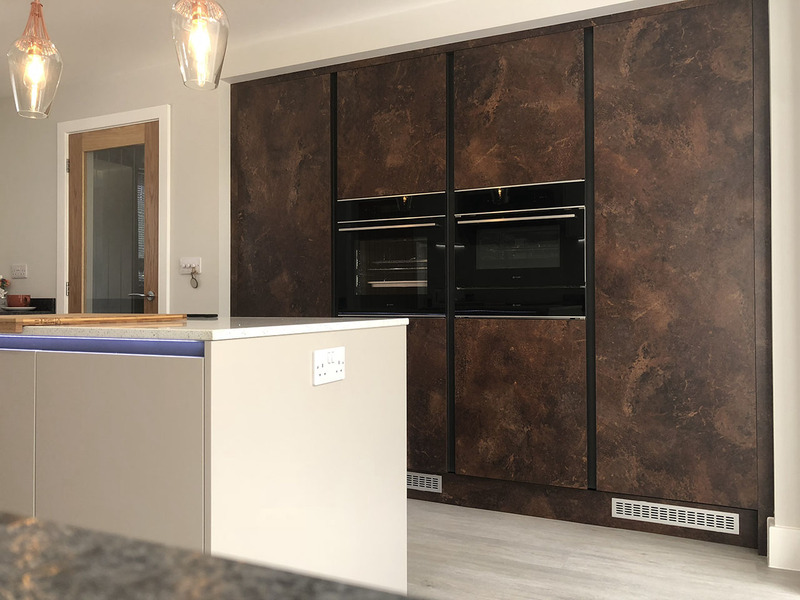 The rust door was used to create a bank of tall units incorporating a larder cupboard, and Caple Sense appliances including an integrated fridge/freezer, black glass multifunction oven, built in Microwave combi oven & grill and a warming drawer. 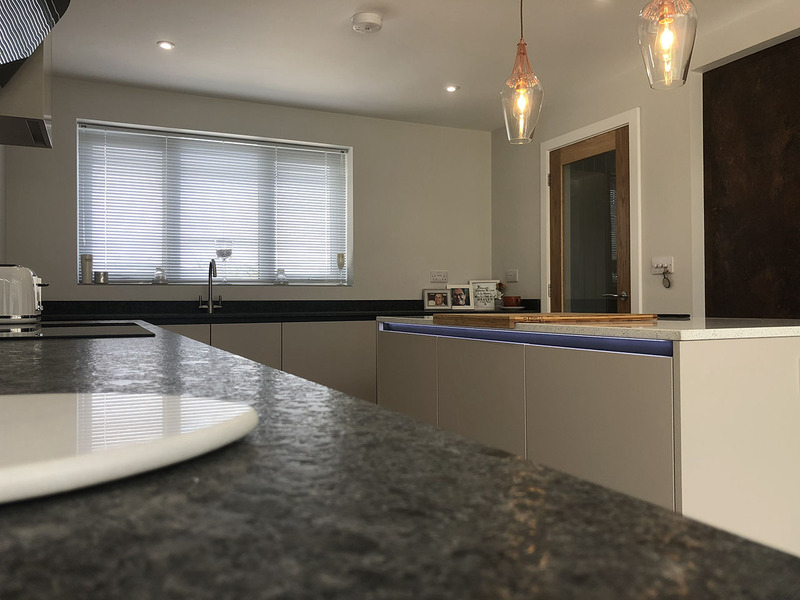 Dark graphite finished aluminium recess handles and a Caple graphite undermount sink add to the drama of this design and complement the black glass appliances, black induction hob and angled extractor and the 20mm black granite worktop. 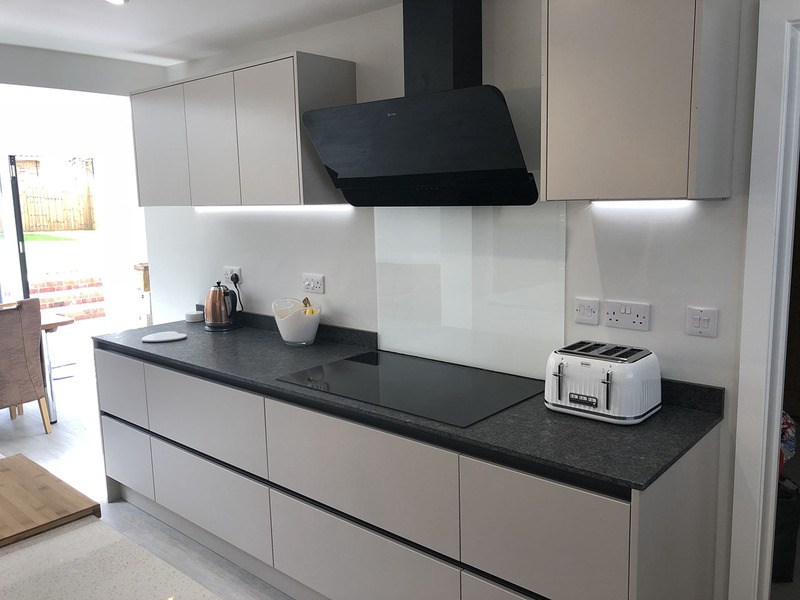 The cashmere island was finished with a white quartz worksurface and included accent lighting under the worktop edges to highlight the handle recess. 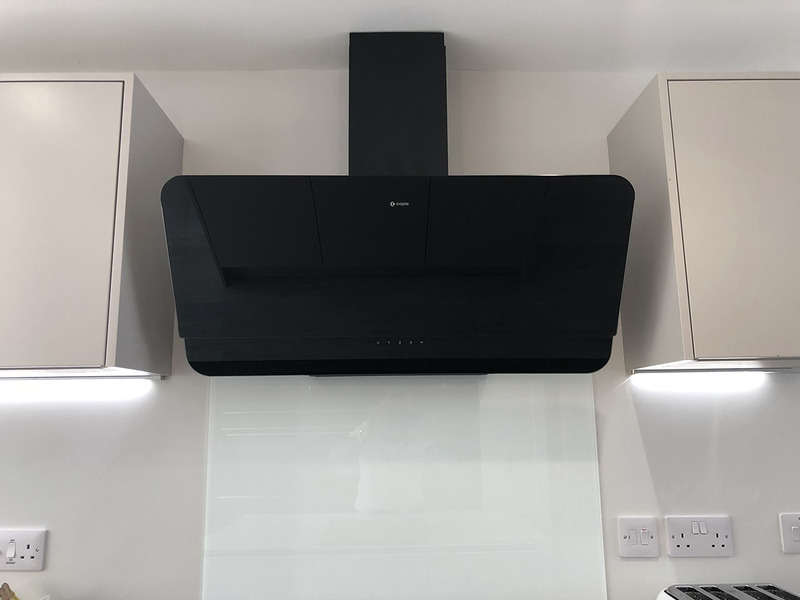 Under cupboard lighting was also included in this design as were space saving plinth heaters. 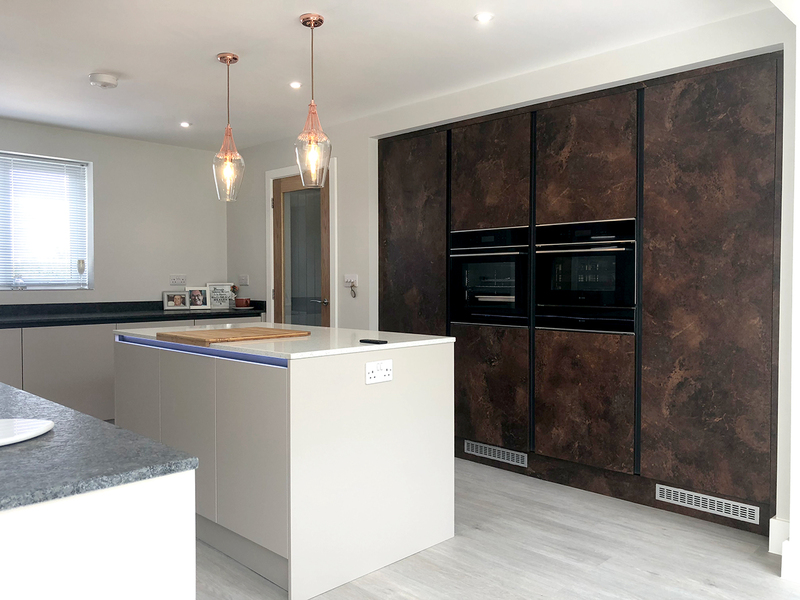 Meridien Interiors offers a bespoke design service for private clients as well as developers. 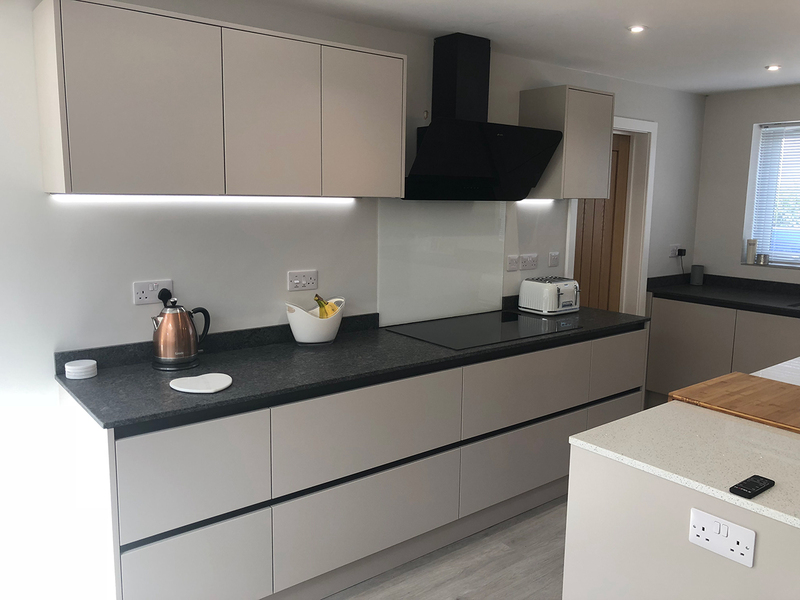 Kitchens can be purchased on a supply only basis or a supply and fit basis, depending on a client’s individual requirements.